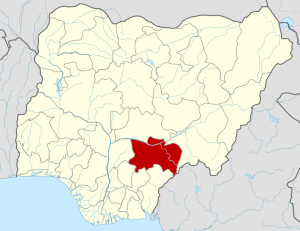 JOS, Nigeria (Morning Star News) – Still shocked over a deadly attack on a Catholic congregation on Tuesday (April 24), Christians in Nigeria’s Benue state yesterday suffered another onslaught by Muslim Fulani herdsmen that reportedly left at least 39 people dead. More than 160 houses also were reported to have been set ablaze in heavily armed attacks that began late Tuesday night in the Guma area on predominantly Christian Tse-Umenge, Mbakpase and Tse-Ali villages. Dozens of Christians were wounded, and at this writing the total number of those killed was not confirmed. The area is about 65 kilometers (40 miles) from the Gwer East area attacks that took place the day before. A resident of Mbakpase, Alice Terwase, told Morning Star News that the herdsmen who invaded her community were dressed in military camouflage and armed with AK-47 weapons. John Umenge, of Tse-Umenge village, told Morning Star News that more than 50 houses were burned down by the herdsmen in his community. The attacks by the herdsmen have led to protests in Makurdi, the Benue state capital. Pastors and church leaders could not be reached for comment as Benue state is engulfed in a state of emergency. Nigeria’s House of Representatives on Wednesday (April 25) suspended session and invited President Muhammadu Buhari to explain why the attacks have persisted. Akpen Leva, chairman of the Benue state chapter of the Christian Association of Nigeria (CAN), last month said the herdsmen had destroyed 500 church buildings since 2011 with attacks that have displaced 170,000 people. Seven Christians among several hundred taking refuge in a church building were killed shortly after midnight last night by Muslim Fulani herdsmen, a local official said. The attack on the displaced Christians took place at the African Church in Mbamondo village, in the Logo area of Benue state. The assailants set houses on fire and were armed with deadly weapons, he said. The wounded have been transferred to a hospital Makurdi. Christians in Nigeria plan a nationwide protest on Sunday (April 29) against attacks on Christian communities. CAN leaders directed all churches in the country to hold peaceful protests following the attack on the Catholic church in Benue state that killed two priests and 17 parishioners. The protests also are planned to object to the continued captivity of the only Christian girl kidnapped by Boko Haram from Dapchi School, Leah Nathan Sharibu, and the remaining Christians girls abducted from a Chibok high school four years ago. The government should be called upon to perform its constitutional responsibility of protecting citizens now, Ayokunle said. The failure of the government to stop the killings by herdsmen is the reason they have continued to kill, he said.